Charles Jay Woolcock was born on 29 July 1875 in Putnam County, New York, or Peekskill. William Thomas Woolcock and Sarah Frances Griffin appeared in the US federal census of 1 June 1880 in Putnam Valley, Putnam County, New York. Other members of the household included Charles Jay Woolcock, Jessie Woolcock, Edwin T. Woolcock, Ella F. Woolcock and Richard Woolcock. Daughter Jessie also is enumerated in the Peekskill household of Sarah's childless half-sister Ellen Odell Brown. The following appeared on 2 October 1897 in The Highland Democrat: (Peekskill) The funeral services of Sarah F. Woolcock, wife of William T. Woolcock, of Sterlington, Rockland county, N. Y., were held in this village on Tuesday afternoon, the remains interred at Van Courtlandtville. She died at her home in Sterlington of paralysis, after a brief illness on Saturday last. She was the daughter of the late Jay and Sarah F. Griffin, and was born in Philipstown, Putnam county, on June 13, 1852, and was 45 years, 3 months and 14 days old. About twenty years ago she joined the South street M. E. church. She was a sister of Jacob Griffin, of Oregon, John Griffin and Marcus Griffin of this place and a half sister of Mrs. Edwin Woolcock of Depew street. She leaves a husband and seven children, five sons, Edward, Charles, Richard and George [and] McGrane, and two daughters, Ella and Addie. Charles Jay Woolcock and Richard Woolcock appeared in the US federal census of 1 June 1900 in Newburgh, Orange County, New York, at 31 High Street living in the boarding house of C. W. Thompson. The following appeared on 12 January 1902 in The New York Times: (Fishkill Landing, N.Y.) For years past the location of the long-lost Benson Mine has been searched for by many prospectors at Peekskill, but without success. Many were of the opinion that the mine was a myth, while others were positi9ve that the mine was a fact. During the past six months many prospectors have tramped the hills in the vicinity, but always without success. Among those who gave the matter little thought was William T. Woolcock, living on Highland Avenue, Peekskill. In his earlier life he had had much experience in silver mining, and when he went to the village, thirty years ago, he tramped the country in all directions looking for the mine, at the request of friends, but without success, and never had any faith in the story. But yesterday the whole thing was changed. While on a tramp he found the famous mine, and learned that the stories regarding its richness had in no way been exaggerated. The silver lies close to the surface, and is so rich that it will assay $150 to the ton. There is positively no question that the long-lost Benson Mine has been discovered. He married Ada Anna Kammerer, daughter of Adam Kammerer and Ursula Weiler, circa 1907. Charles Jay Woolcock and Ada Anna Kammerer appeared in the US federal census of 15 April 1910 in Niagara Falls, Niagara County, New York, at 2219 Gaskin Court. Other members of the household included William Charles Woolcock and Marion Elizabeth Woolcock. He was proprietor of a plumbing shop, according to the 1910 census. The following appeared on 30 August 1919 in The Highland Democrat: (Peekskill) Mr. and Mrs. Charles Woolcock and family of Niagara Falls have been visiting Mrs. Charles E. Wright of Phoenix avenue. Charles Jay Woolcock and Ada Anna Kammerer appeared in the US federal census of 1 January 1920 in Niagara Falls, New York, at 2219 Gaskin Court. Other members of the household included Marion Elizabeth Woolcock, William Charles Woolcock and Edwin Kammerer Woolcock. He was employed as a a plumber at a plumbing works, according to the 1920 census. The following appeared on 25 April 1924 in the Niagara Falls Gazette: Kenneth Hoffman, 18 years old, an apprentice in the employ of C. J. Woolcock, plumber, was the victim of a peculiar accident yesterday while working on a sewer connection at a residence on Maple avenue. Hoffman was alone in the excavation, which was filled with water to the depth of several inches. Suddenly the ground on which he was standing began to give beneath his feet. It was not until he had sunk into the soft, sandy earth to a depth above his knees that he realized that he was sinking into a bed of quick-sand. He was unable to extricate himself and was forced to call for help. None of the other men were in hearing distance at the time and Mr. Hoffman had sunk to a depth above his waist despite frantic efforts to get out, before his cries were heard and other workmen came to his assistance. It was necessary to place a rope about Mr. Hoffman's body and hitch it to an automobile to pull him out of the sand bed. He was uninjured, and after getting out was none the worse for his unusual experience. Another happening of something the same nature occurred last week when Sylvester Gormley, engaged in excavation work at the new Cleveland avenue school, was buried under an avalanche of earth, when the sides of the ditch in which he was working caved in on him. Mathew Gorman, of Tenth street, was working with him at the time but escaped the big spill of earth, which toppled over on Mr. Gormley. Mr. Gormley was badly bruised but was dug out by fellow workmen before he was more seriously injured. Charles Jay Woolcock became a widower at the 10 March 1929 death of his wife Ada Anna Kammerer. Funeral services for Mrs. Hannah Shipston, 85 years old, well known Niagara Falls resident who died Saturday, were held at the family home, 4002 Carrol avenue, yesterday afternoon at 2:30 o'clock, the Rev. David Henry Weeks officiating. A large number of friends attended the obsequies and the many beautiful floral tributes attested to the esteem in which Mrs. Shipston was held in the community. Interment was made in Riverdale cemetery. The pallbearers were Irwin Dale, Arthur Lynch, John W. Jenny, Jr., Otto Jacoby, Charles Woolcock, E. E. Mansfield, H. Knight and Thomas Bradford. 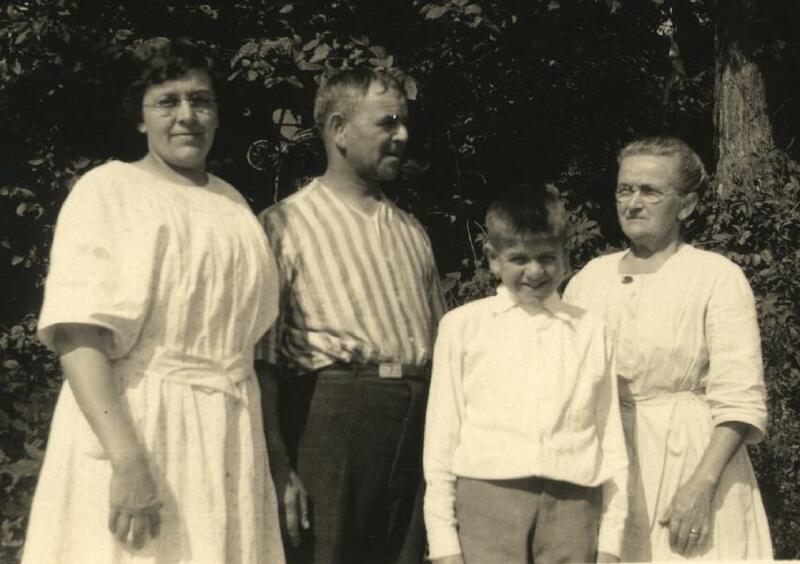 Charles Jay Woolcock appeared in the US federal census of 1 April 1930 in Niagara Falls, Niagara County, New York, at 2219 Fifteenth Street with housekeeper Eva Bell and her son Jack living in the household.. Other members of the household included Edwin Kammerer Woolcock. He was owner of a plumbing contracting company, according to the 1930 census. Charles Jay Woolcock died on 6 December 1934 at age 59 in Niagara Falls, Niagara County, New York. The following appeared on 6 December 1934 in The Niagara Falls Gazette: Stricken by a heart attack while walking in Main street at Cleveland avenue at 2:15 o'clock this afternoon, Charles J. Woolcock, proprietor of a plumbing and heating establishment at 2217 Fifteenth street, fell to the sidewalk and was dead before medical aid could reach him. Coroner W. L. Draper said death was due to heart disease and ordered the body sent to the Cornell and Dattett funeral chapel in Main street. Mr. Woolcock had left his place of business only a short time before his death. His son, Edwin Woolcock, said that he had not complained of being ill and had appeared in good health when he talked with him just before starting for downtown. Widely known throughout the city, particularly in business circles, Mr. Woolcock had conducted the plumbing and heating business for more than 25 years. He was 59 years old and a native of Peekskill, N. Y. He came to this city more than 30 years ago. He was a member of the Niagara River Lodge of Masons and for many years had been a member of the old Ongiara club. He was chairman of the city plumbing board. Surviving Mr. Woolcock are his son, Edwin, and a daughter, Miss Marion E. Woolcock. His wife died several years ago. The funeral will be held from the family home at 2 p. m. Sunday with services at the Zion Lutheran church at 2:30 p. m.
The following appeared on 21 December 1934 in The Niagara Falls Gazette: The will of Charles J. Woolcock, disposing of an estate of $44,000, was filed for probate with County Judge-Surrogate William a. Gold, in surrogate's court, at City Hall, today, and Edwin K. Woolcock and Marion E. Woolcock were named joint executors. The will provides for a bequest of $2,000 to Elizabeth Vorwerk, this city, $2,000 to MacGrane Woolcock, of Ozone Park, N. Y., a brother, and $2,000 to Marie Jacoby, 952 Vanderbilt avenue, this city. The remainder of the estate goes to the executors, children of the decedent. Mr. Woolcock died here December 6? The petition for probate lists the value of the estate at $34,000 real property and $10,000 personal property.